How To Make Macaroni Schotel Flavor Specialties .Entree specials menu and special and classy commonly served in fancy restaurants is a dish of macaroni schotel. Menu dishes this one is processed from boiled macaroni cooked with flour, milk and other ingredients and then baked in the oven before serving. But now you do not bother to set aside a lot of the contents of the wallet to enjoy the special dish of macaroni schotel house through the kitchen because once you've been able to make it. The steps in making a special dish of macaroni schotel dish can you see in a dish how to make macaroni schotel special taste below. Cook sliced ​​onions until issuing a rich aroma. Then add the flour into masaka. Stir to form a clot. Next, add menunagkan cuisine with fresh milk, stir well and was followed again by adding macaroni and smoked beef that has been chopped fine. Stir again until evenly distributed. Then lift cuisine. 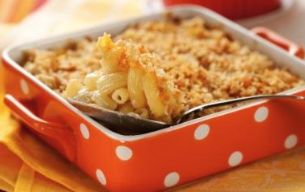 Grab ingredients like grated cheddar cheese, beaten egg, pepper and salt and mix into the cooking macaroni. Toss well. The next move food into the bowl used for grilling. Spread butter on the surface of a bowl and pour the macaroni dishes to dalamnnya. Keep in the oven and then baked in a 170 ° C with a duration of up to 20 minutes in length or until cooked perfectly. Remove from the oven after being cooked macaroni and chill by soaking the bottom of the bowl into a puddle of cold water. Wait a while until the cold bowl and serve macaroni schotel roast. That she baked macaroni schotel of grain recipe how to make macaroni schotel special taste has sesesai made and ready to eat. 0 Komentar Untuk "How To Make Macaroni Schotel Flavor Specialties"